Nutritionally adequate diet during pregnancy, as also child nutrition, certainly is at the top of the interests of all future parents and those who are already there and want to ensure safe and healthy growth and development of their child. Regardless if they are planning, waiting for the child to be born or already have a baby, all parents want to give their child the best start for growth and development. Therefore they have a lot of questions about what is the best diet during pregnancy, for the child and the mother, and what is the best nutrition for babies and older children. At the Animal Friends office (Jurisiceva 25, Zagreb) on Saturday, January 16, 2016, from 11 A.M. to 2 P.M., Master of Nutrition Ivana Simic, will provide answers to frequently asked questions and helpful tips on healthy pregnancy and the plant-based diet. By being also currently pregnant, nutritionist Simic, applies expertise and she will demonstrate the preparation of a few simple and nutritionally rich meals from food of plant origin. At the three-hour workshop, vegans, vegetarians, and everyone else is very welcome, regardless of their eating habits. 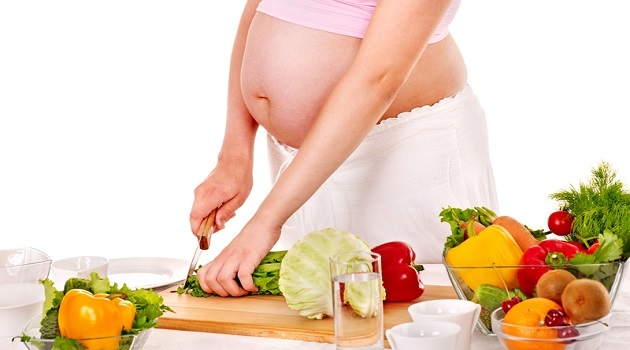 How to be a vegetarian or vegan during pregnancy? Which food contains folic acid, iron and calcium? Specifically what to eat during pregnancy? What are the benefits of vegan pregnancy? How to prevent or relieve morning sickness? What my baby needs to grow healthy? How much vitamin B12 should I take? When to introduce solid food to a child and with what should you feed babies and children? The participants will get the answers to these and all other questions, as well as printed materials allowing them better access to nutrition during pregnancy and after child birth. The American Nutrition Association and Dietitians of Canada developed very detailed and extensive study which resulted with the attitude that the well-planned vegan and other types of vegetarian diets are appropriate for all stages of life, including the period of pregnancy, lactation, infancy and adolescence. Vegan diet offers a variety of nutritional benefits and children are more resistant to diseases while the obesity is less common. Therefore, it is important to adopt good eating habits from the start and eat food that meets the need of pregnant women and the child. We invite current and future moms and dads, grandparents, friends and others to fill in the application form for workshop participation and learn how to enjoy excellent, tasty and healthy food during pregnancy and after child birth.